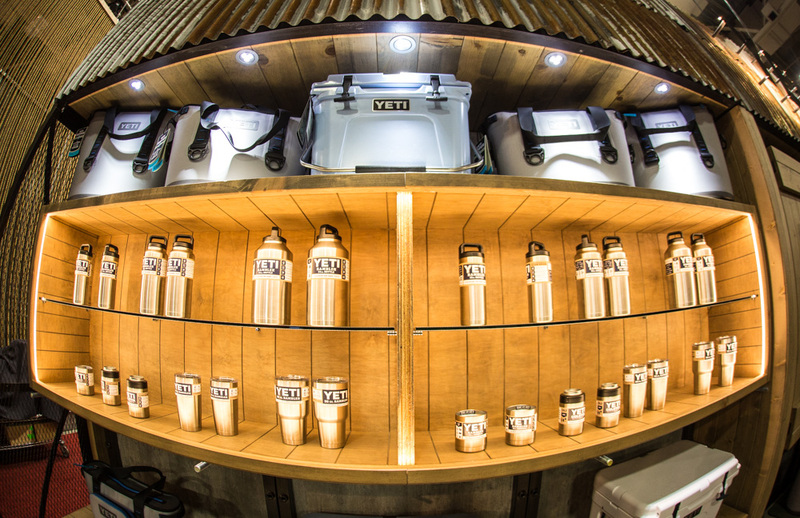 Micro-lanterns to foldable shades… take a trip inside the halls of the Outdoor Retailer trade show, held last week in Utah, for an exclusive look at gear coming to market in 2016. This sneak peek includes new technologies and never-seen designs, all culled and seen in person by our editors on the OR show floor. 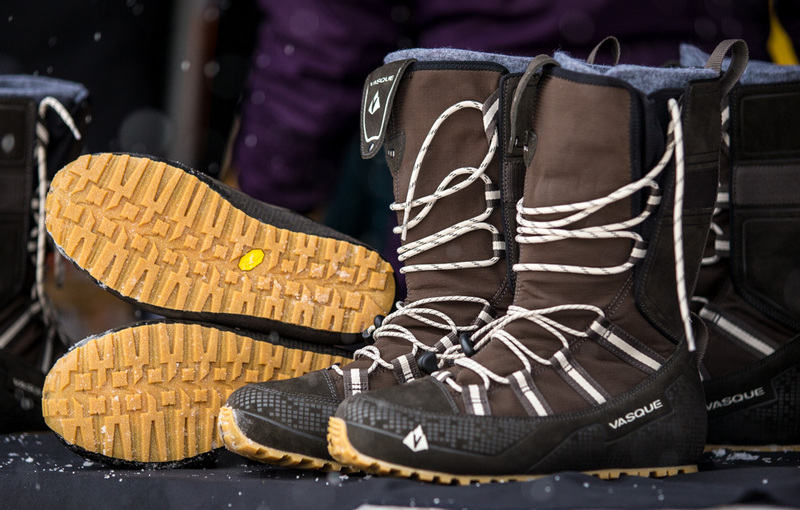 (See our “Best In Show” awards as well as all coverage from the 2016 Outdoor Retailer Winter Market 2016.) Look for this “future gear” in outdoor stores later this year. 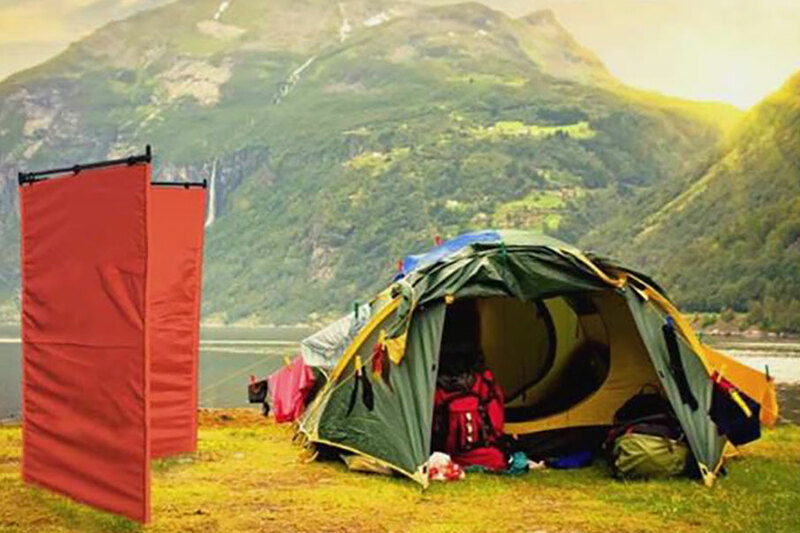 A simple idea that could be really nice at the campsite, the Wind Warrior is basically a free-standing wall that you peg straight into the ground to block wind. It works for gusts up to 35 MPH and could provide some extra peace and calm on blustery days. 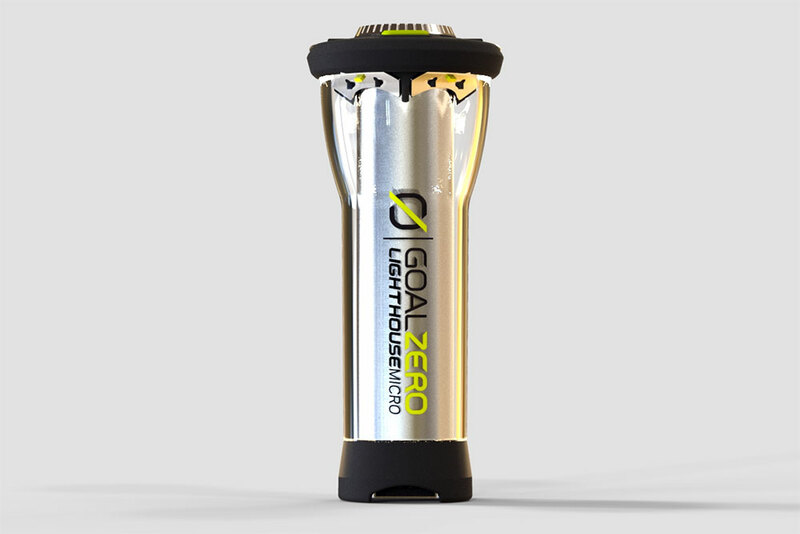 A small but powerful light source, the Lighthouse Micro from Goal Zero is a tiny cousin of lantern models from the brand that we have tested and approved. 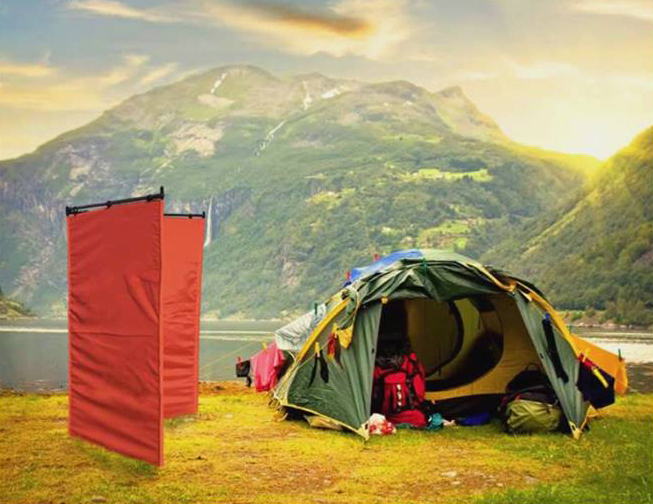 It has LEDs capable of lighting up a tent, is USB-rechargeable, and fully waterproof — all in a package not much larger than your thumb. 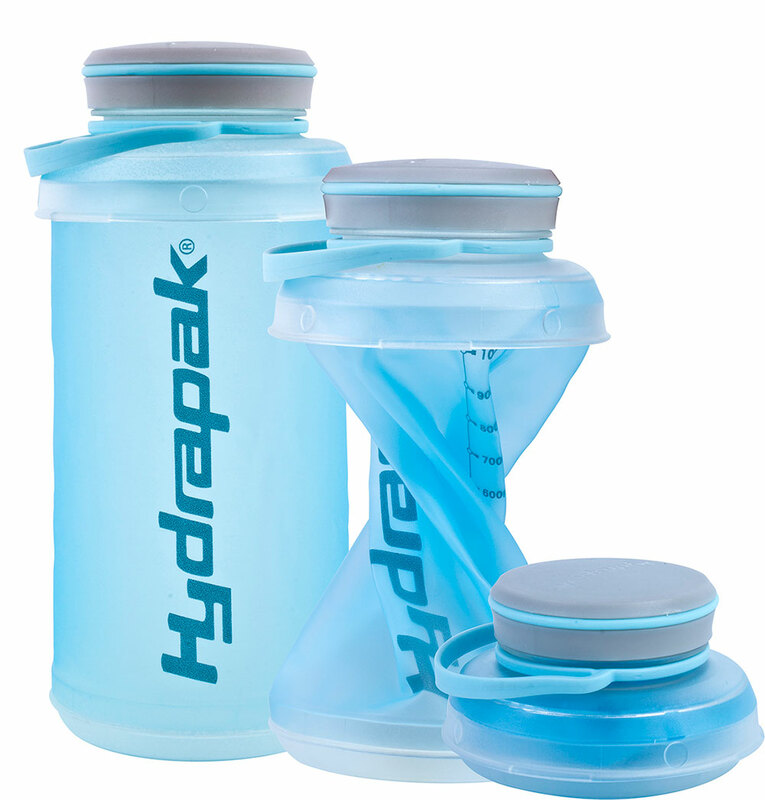 Hydrapak’s Stash Bottle twists to collapse when empty. Fill them up before a hike, then stow away in a small pocket once drained. Simple and smart design. Keep your sunglasses safe when not in use. Popticals fold to fit inside a portable hard-side small case. But unfold and you have quality sunglasses for outdoor sports or casual use. Designed and made in Italy. 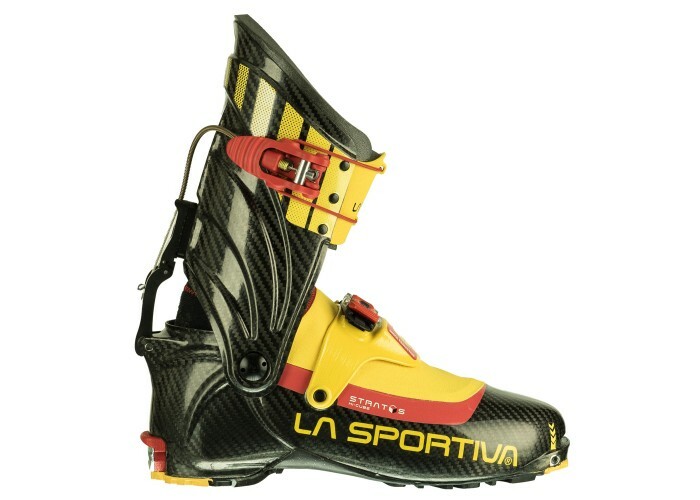 The Stratos Hi-Cube is a ski mountaineering race boot that will be found on only elite racers. It costs an incredible $2,500 per pair and weighs just 450 grams per boot. It makes our lungs burn just looking at it. The Lost 40 is a traditional cold-weather boot updated with modern technology. Insulated with a 7mm felted liner and protected by a UltraDry waterproofing, this boot will fight off the winter cold. Noteworthy is the two-part lacing system, securing the bottom and top parts of the boot separately. Coming Fall 2016, the K2 Marksman is an asymmetrical ski, meaning it’s designed for left and right feet. Inspired by freeskier Pep Fujas, the 132-106-126 profile ski has an all-terrain rocker that makes it easy to “butter” off the tips and tails. Basically, it should be one smooth rider. Denim is usually made from cotton. 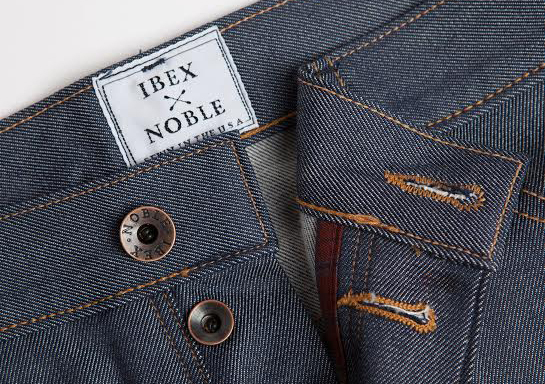 But this crazy pricy collaboration from Noble and Ibex is 60 percent merino (and still 40 percent cotton). They feel remarkably like standard denim but have performance features found in wool. They are made in the USA. The downside? A $300 price tag. “Survivorman” Les Stroud’s collaboration with Helle resulted in one beautiful blade. We held the Mândra (pronounced mondra) knife in our hand and just didn’t want to set it down. The small curly birch handle sits perfectly in the palm, and the full tang 2.71″ fat-bellied blade is just the right length to run a finger along the spine for control while cleaning game, working wood or completing any small survival task that may arise. 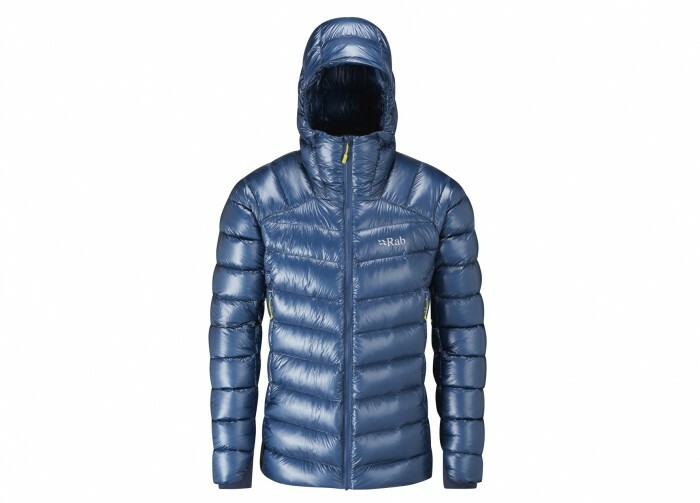 This 1000-fill (read: incredibly light and puffy) down jacket is one of the nicest we’ve had our hands on. 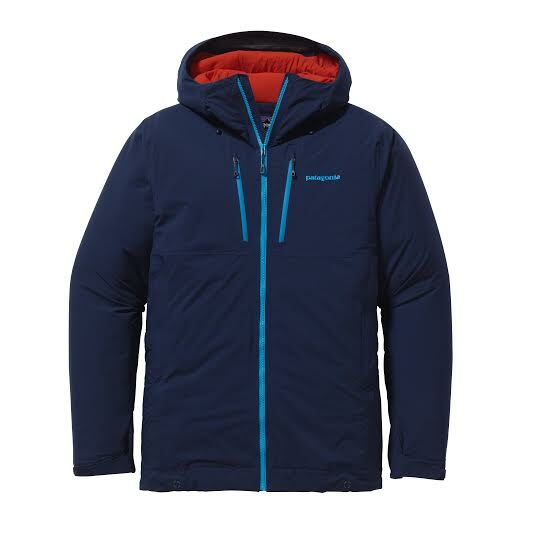 Made with strong but super light Pertex Quantum face fabric, the super-warm parka packs tiny and weighs just 10.9 ounces for a men’s size large. The TLT7 from Dynafit removes the “nose piece” from the ski boot. That means it won’t attach to traditional ski bindings, only pins. This tech-binding-only specialist weighs in at 1,010 grams per boot and can be adjusted, opened, and closed with a single buckle. 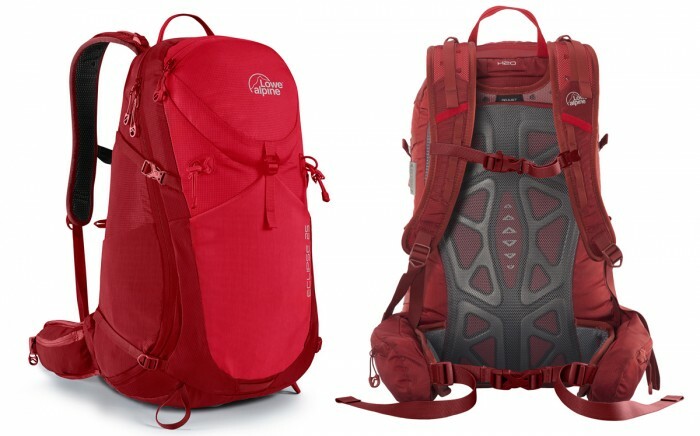 For those who like a close fitting pack, but still desire significant airflow along the back, the Lowe Alpine Eclipse 25 might fit the bill. Its back panel allows copious air flow. The 25 liter size is a good choice for long day hikes to ultralight overnights. Large stretch pockets and side entry make for convenient access. Fry eggs in the outback? It came out a couple months ago. But Sea To Summit highlighted the X-Pan at the show, and it deserves a close look. 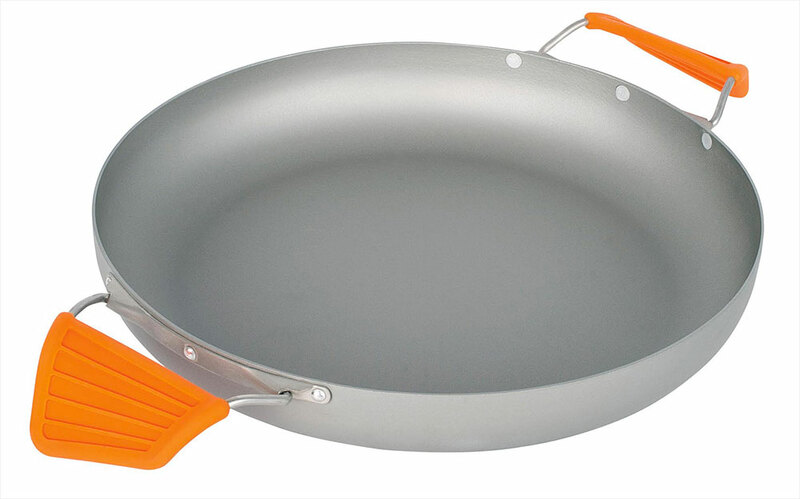 The lightweight, 8-inch aluminum pan has heat-resistant silicone grips and weighs 10 ounces for easy carry into the backcountry. $39.95 at Seatosummit.com. 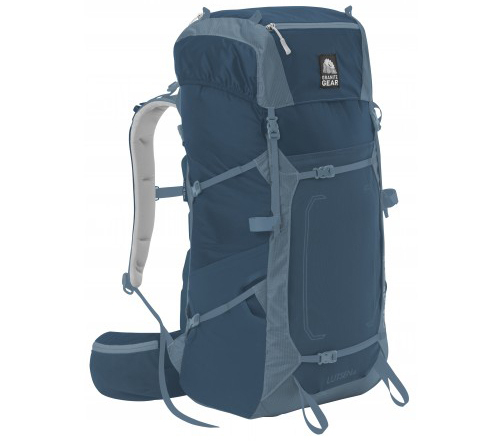 Bergans of Norway’s Helium PRO pack holds skins, crampons, and avy gear, plus there is a dedicated mount for ice axes and skis, making this a full-bore pack for alpine pursuits. 40 and 55 liter sizes available. 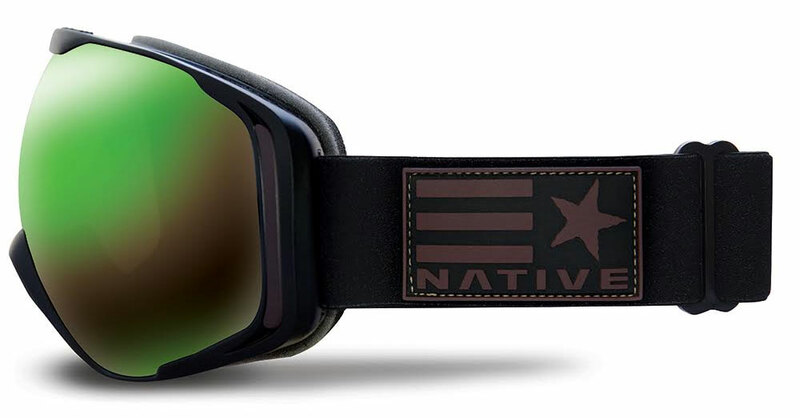 Native Eyewear upgraded its winter goggles (Tank-7 and The UpSlope models) with a new kind of anti-fog technology the brand touts “delays fogging by 8 minutes compared to the industry standard of only 30 seconds.” Bonus: The goggles’ frames are made of a bio-based castor resin. The Classic Vacuum Stein by Stanley keeps 24 oz. of beer cold and carbonated all day. 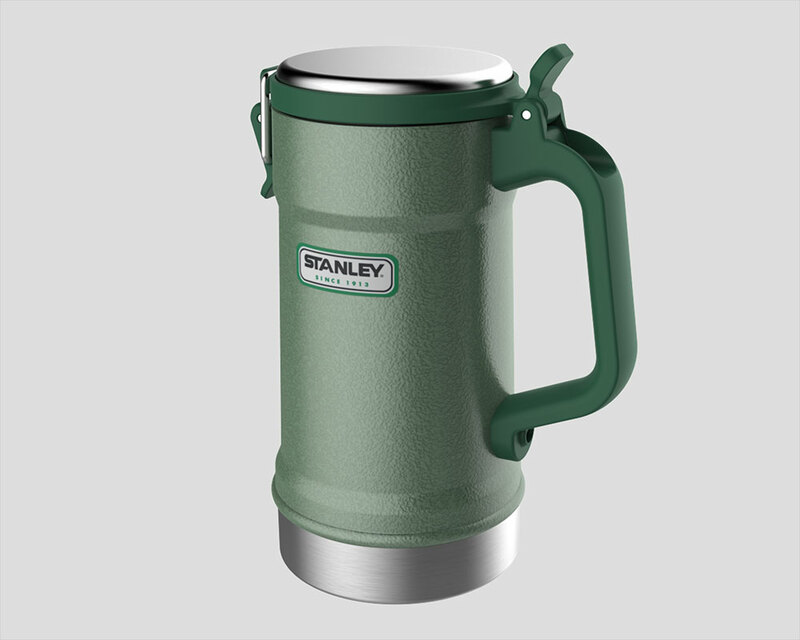 The stein is made with a latching lid and vacuum insulated stainless steel walls. It’s hard to make a unique ski pole, but Atomic hid a couple cool tricks inside this collapsable model — a screwdriver in each pole. The Backland FR ski poles have a phillips head in one pole, a flat head in the other. 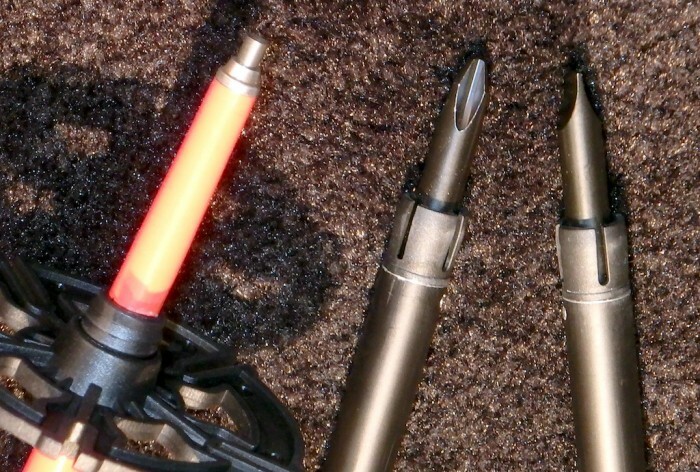 For binding adjustments or quick fixes on the go, it’s a clever idea. 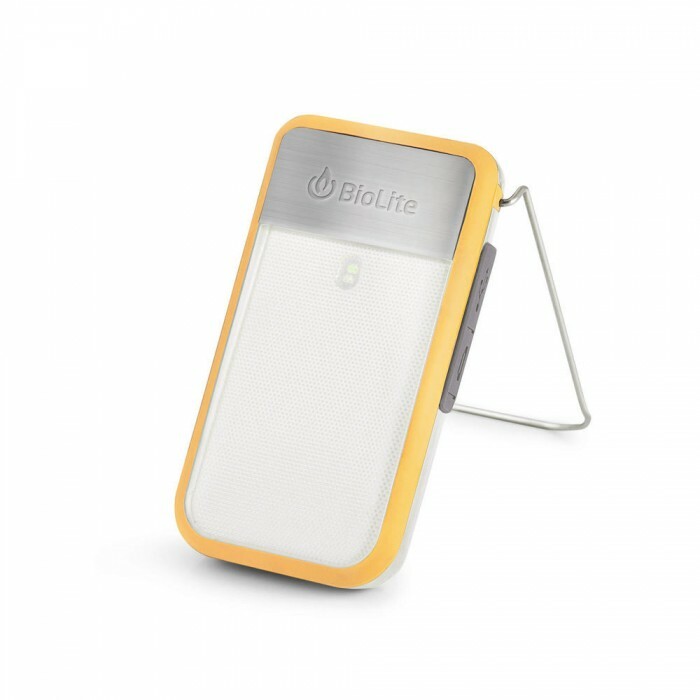 Biolite integrated a 2200mAh battery into the brand’s new panel. 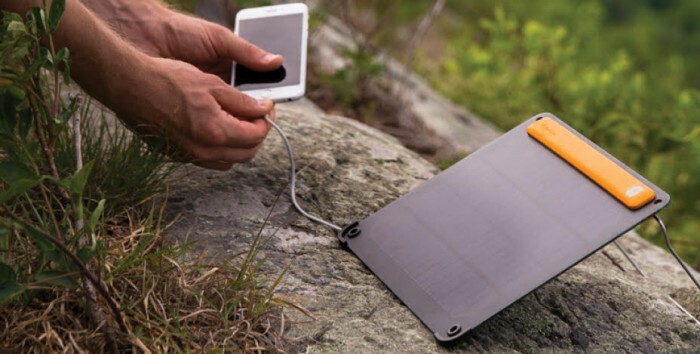 Now, along with powering your device, the sun will also charge the onboard battery, allowing you to plug in when the sun goes down. This tiny lantern combines lighting and electronic needs into one. The 135 lumen lamp provides 53 hours or run time, can charge your phone, and can be mounted on your bike as a makeshift bike light. A favorite dehydrated food among GearJunkie staff, Good To-Go is back this year with a couple delicious new flavors. Among them is Pad Thai, a spicy mixture including noodles, carrots, and shrimp that makes eating in the backcountry seem like a downright culinary experience. In conjunction with the National Parks Service Centennial, these vintage-inspired Buffs soak up sweat, keep you warm, and block with UV-protective fabric. A portion of the sales proceeds go to the American Hiking Society. Fuel canisters don’t work as well in cold weather. 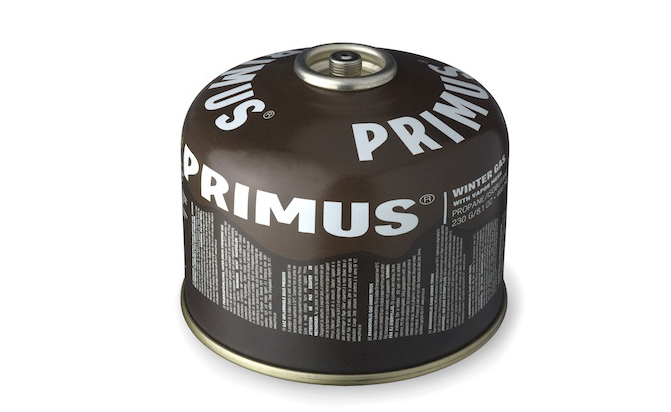 Stove and fuel maker Primus tackles this problem with Winter Gas canisters. An internal mesh creates a larger surface area for the liquid in the canister to turn to vapor, and with some tech voodoo helps this product perform well down to -7 degrees F, the brand states. Duofold has more than 100 years experience in creating base layers. The brand for 2016 highlighted its cold-weather base layer line, including the Varitherm and THERMatrix lines. They have non-chafe seams, tag-free crewnecks, and longer drop-tail hems for protection from cold. 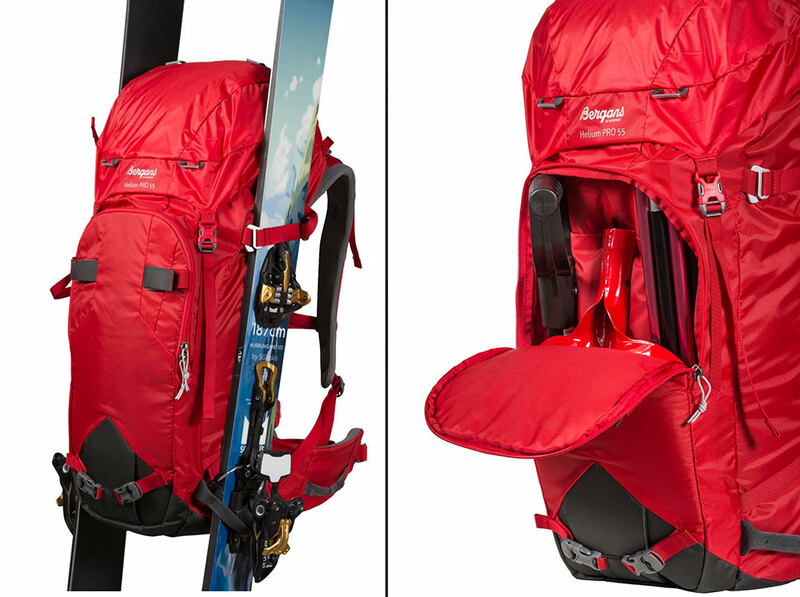 Mountainsmith said it taps into its 37 year heritage “by resurrecting classic designs from the mid-90s as trail-inspired commuter bags.” That’s the theme of the World Cup (pictured), which will cost $119.95 next fall. If you’ve used YETI products, you know they are tough as nails. The Rambler Bottle (18, 36, and 64 ounce sizes) is no exception. The double-wall insulated stainless steel bottles don’t reinvent the wheel but do put a nice touch on a proven design. The Patagonia Nano Air is a favorite jacket at GearJunkie headquarters, and for good reason. 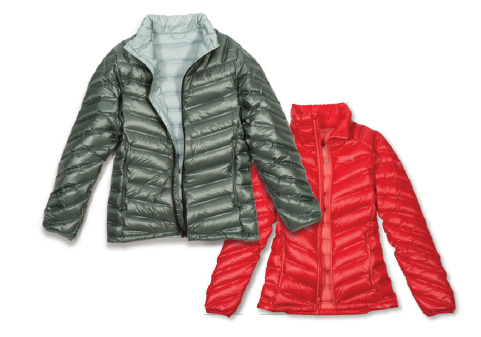 The jacket is warm, super breathable and doesn’t hold moisture, making it perfect for cold-weather aerobic activities. Patagonia will build off this model with a waterproof version of the Nano Air by adding a waterproof-breathable face fabric to the proven design. This is one we’re excited to test. Bye bye cold feet. 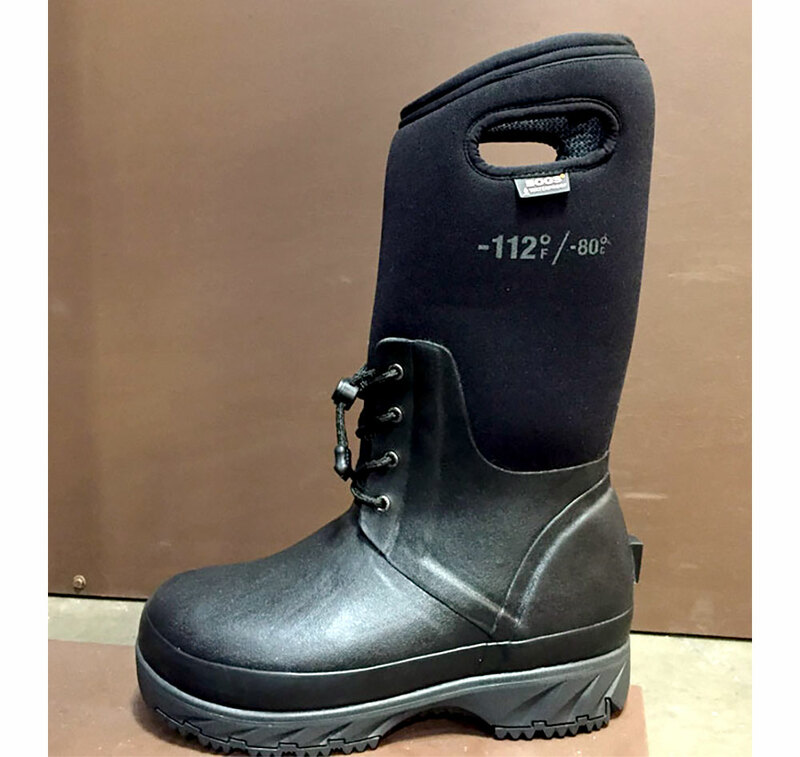 This everyday winter boot is rated to an incredible -112 degrees F. It’s waterproof and lined with Thinsulate, neoprene, and wool to ensure your little piggies stay toasty warm hiking, walking the dog, or shoveling the driveway. You can get a pair for yourself next fall for $250. JLB teamed up with Under Armour on a pair of wireless ear buds that help track your heart rate. You don’t have to stop to check your pulse, watch, or phone. Just press a button and your heart rate is measured and spoken through the ear buds. 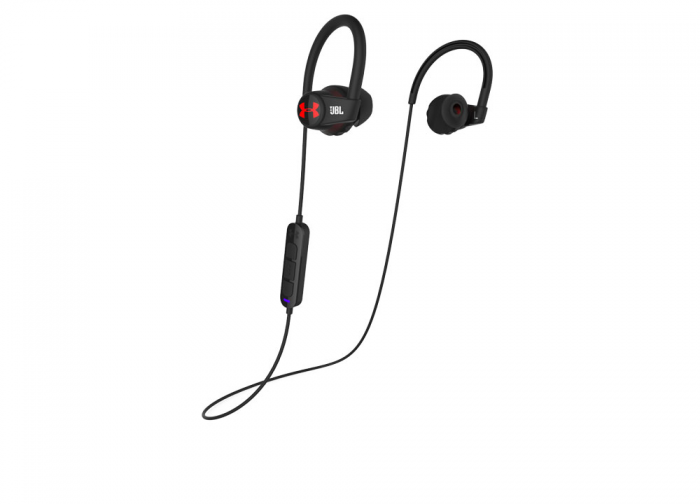 They are sweat and splash resistant and come with JBL’s guaranteed not to fall out even during the most intense activity. $250; available in spring. A mattress pad with detachable panels — smart and simple. The Airloft is the first hammock-specific mattress pad. 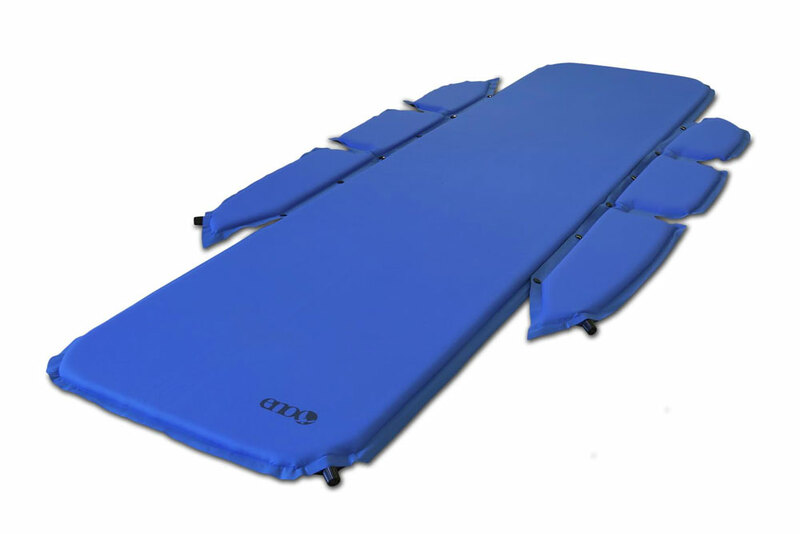 The three panels on each side snap onto the main 1″ pad to guard against cold spots that usually plague hammock campers. Unsnap the panels and you have a normal mattress pad. At $95, it’s on par with other panel-less pads and seems worth it if you plan to sleep suspended. Mountain Hardwear created a stretchy down insulated jacket that will give wearers freedom of motion while keeping them warm. Using welded channels to hold the down in place, the “stretch knit” gives the jacket its flexibility, while ripstop fabric provides durability. 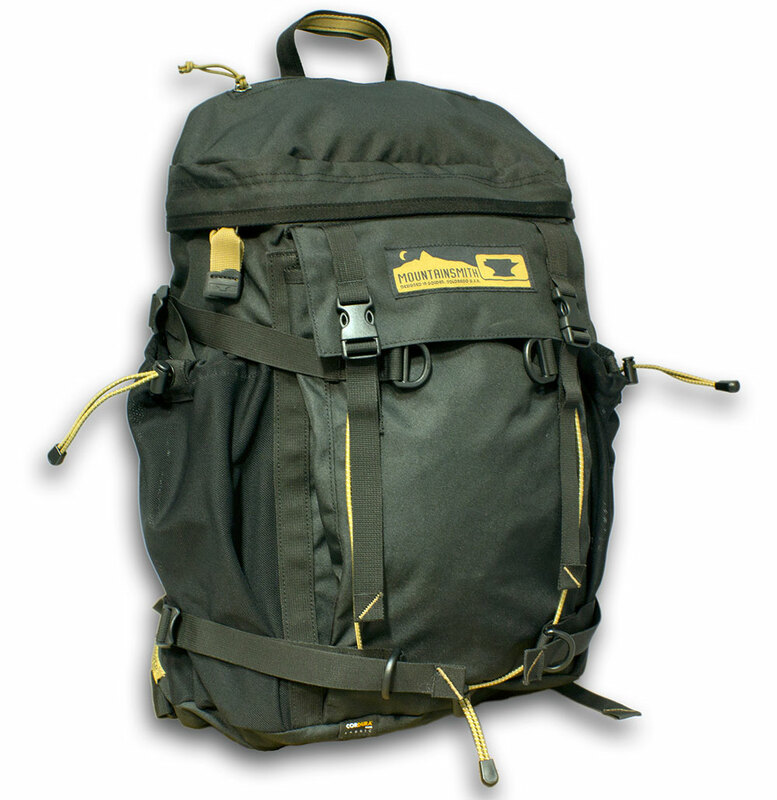 Lightweight and durable, Granite Gear’s Lutsen Series backpacks, which come in 35, 45, and 55L sizes, are made for multi-day backpacking trips. The most notable feature is the innovative ReFit air current suspension system that allows for on-the-go hip belt and torso length adjustments (which could come in handy for Appalachian Trail thru-hikers that lose 20 pounds during their trek). 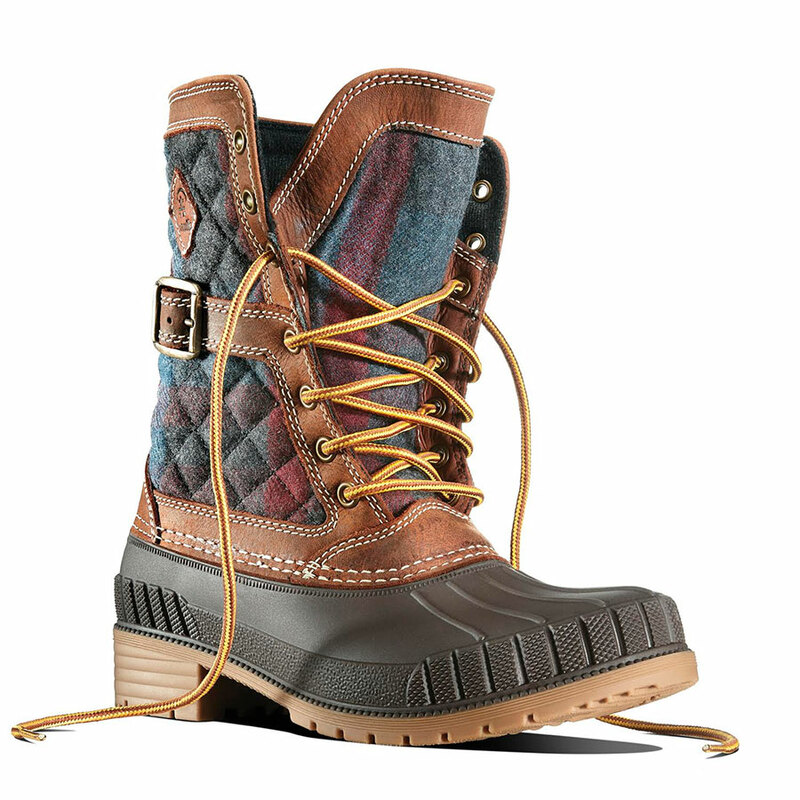 Kamik’s Sienna boots have a great leather and flannel upper, decorative side buckles, and Thinsulate insulation inside. The warm and waterproof boots are built in the USA and will cost $119. –See our “Best In Show” awards as well as all coverage from the 2016 Outdoor Retailer Winter Market 2016.